When a man asked Jinnah if he was Sunni or Shia, Jinnah replied angrily that he was just a Muslim. This year there have been a number of reports that what were clearly acts of sectarian violence, hatred and discrimination. In January, three lawyers – a father, his son and nephew– were gunned down. They were Muslims who belonged to the Shia sect. On the same day, three other professionals from the Shia community were killed in Quetta. This all follows the year of 2011 where hundreds of Shias were murdered – and it seems as if nothing has, or will change. The Shia community is not the only minority sect that is being targeted. For a couple of weeks, attempts were made to shut down an Ahmadi place of worship; a week ago, the food and beverage brand ‘Shezan’ was banned from all court premises by the Lahore Bar Association because the owners belong to the Ahmadiyya community. This is just recent news. Sadly, sectarian violence and discrimination in Pakistan is frequent. Some argue that the Pandora’s box was opened in 1974, when extremist Sunnis clashed with Ahmadis until they were declared non-Muslim by Pakistan’s constitution, though sectarian violence was reported as early as the 60s. My personal belief is that the reason behind the rise in sectarianism is the increasing subconscious acceptance of it by our society. Today discrimination amongst sects is openly publicised in Pakistan. I can confirm that the Islamiat textbook I studied from in high school preached religious inequality and even anti-Semitism. Due to a lack of quality education and teachers, irresponsible textbooks in our schools, statements made by religious scholars, things some of our elders say society in Pakistan has made assumptions based on people’s religious views. For many people, being Jewish is a crime. Being Christian is only slightly better, and then the fact that you are a Muslim makes you a superior and better Pakistani. Among Muslims people belonging to a sect feel they are ‘better’ than the others. I once sat in a majlis at a Shia mosque only to hear a long speech explaining all that was wrong with Sunnis, and heard similar sermons about Shia Muslims at Sunni mosques. Keeping in mind the stories shared above and other incidents from the past, I find it safe to say the Ahmadiyya community receives the most hatred and discrimination. Some clerics have gone as far as announce the justification and permission for their murder. In fact in 2008, the leader of the anti-Ahmadi movement was invited to Dr Aamir Liaqat’s TV show on which he repeated exactly that. The next day, two Pakistani citizen’s from the community were killed. The problem we face in Pakistan is this extreme ‘holier than thou’ attitude; a strong feeling of self-righteousness and moral superiority. People believe that their personal beliefs are of greater virtue than those of others, and through a biased study with an ill-informed and poorly educated mind, have used words of Holy Scriptures to justify violence against those with differing religious views. This is completely against what religion actually teaches.The Holy Quran tells us to approach those with different beliefs by starting on the points of agreement or equitable words. Islam also teaches us to accept that believers and non-believers both have their own religion and worship their own Lord(s) and in forbids any compulsion in religion. Extremist groups behind these attacks target the Shia and Ahmadi community to incite fear within the sects and hence reduce, and eventually finish their ability to practice their faith openly. Keeping in mind the targeted killings in broad daylight last month, it is understandable that many people from the communities have fled the country as a result. Their tactics are working. It should also be brought to light that these sectarian extremist groups have split since their inception in the 1980s and have regrouped under different titles and movements. They have spread all over the country from their starting point of Southern Punjab, taking their radical ideas to all parts of the state. Much needs to be done to stop this. The country’s intelligence agencies need to find out how and where these groups operate, observe them and keep a check on local madrassas and what is taught there. A strategy must be devised on how to isolate and tackle them. Why we have waited so long to tackle this is a mystery. But in my opinion, these groups are only half the problem. The other problem is our radicalised society. This polarisation of views is due to a combination of the spread of these sectarian groups, and the lack of impartial, quality education. With more than half the country living under the line of poverty, the vast majority cannot afford sound education, as it exists in Pakistan’s private schools that only the elite can afford. This leaves a colossal portion of the population exposed to sub-standard schooling, if any at all, and hence vulnerable to the acceptance of extremist ideas and versions of religion bestowed upon them. These are the people the sectarian groups feed on and this is where their support comes from. It may seem absurd, but I have personally witnessed many educated people agree with the fatwa that allows the murder of Ahmadis. After everything he has done and said, countless people have undying, unconditional support for Dr Amir Liaqat; people have celebrated the death of the former Governor of Punjab and hailed his murderer as a hero; some still think it is ‘okay’ to target Shias. And that is essentially the problem. People accept it. But I don’t think these people are entirely to blame. It is our governance that is educating these people. Pakistan is the only state to declare Ahmadis as non-Muslims. When the state has numerous discriminating laws and education against entire sects, how could you expect its people to be any different? How many of our text books proudly mention that Dr Abdus Salaam was from the Ahmadiyya community? He put Pakistan on the map by becoming the country’s only Nobel Prize winner but then left the nation in protest when his sect was declared non-Muslim. His gravestone was also modified after his death so that it would not read ‘Muslim’. How many of our textbooks tell us that our founder, Muhammad Ali Jinnah, was a member of a minority sect, which was a minority community in an already Muslim minority in India? How many of our textbooks tell us that our first ever foreign minister, Chaudhry Sir Muhammad Zafarullah Khan, who Jinnah referred to as his ‘son’, was a scholar of the Ahmadiyya Muslim community, drafted the Pakistan resolution, represented the country at the United Nations and served as a judge at the International Court of Justice? The answer is: not many. Once a man asked Jinnah if he was Sunni or Shia and Jinnah responded angrily that he was just a Muslim. He was against sectarianism. That’s why Jinnah wanted faith, discipline and unity – virtues we lack the most. Everyone thinks their beliefs are perfect, but none of us is God and no one should be allowed to judge anyone else. Sectarian groups must be eliminated, madrassas monitored and education heavily reformed to change this mindset. If not, Pakistan will be contaminated with far too many fanatics. The Quran asks us to show kindness to people of all faiths and calls Christians and Jews ‘people of the Book’. Today, Muslims in Pakistan can’t even be civil to sects of their own religion. It further says that when you see any injustice, fix it. If you can’t fix it, then raise your voice against it. And if you can’t raise your voice against it, then condemn it in your heart. I think it would help if Pakistan started with the latter. Quot This is completely against what religion actually teaches.The Holy Quran tells us to approach those with different beliefs by starting on the points of agreement or equitable words. A well balanced POV. But I’m afraid you are selling reading glasses to the blind folks. Why are Sunnis being cut out to be some sort of Monsters that are responsible for all the sectarian violence in pakistan? In Karachi in some areas even Sunnis have been victims, but obviously we dont make the news since we are the oppressive majority. If anything Sunnis are the one’s who give protection to the Shia processions during Ashura (the 1000’s of sunni cops who actually work on an otherwise public holiday). The handful of crazies and their sporadic attacks should not be used to malign the entire sect which has otherwise been really chilled out and supportive of this minority.The violence is not one-sided and there have been cross exchange of violence on both sides. In pakistan shias have it a lot better than anywhere else, we have a shia-majority government leading a sunni majority country. Yes minorities rights need to be respected, but being a minority does not automatically mean you are a victim. Case-inpoint is Syria, where the shia alawite minority which is barely 10 percent of the population has oppressed the sunni majority for decades and are brutally crushing the current uprising. Now I know why Pakistan is doomed!!!! Jinnah set a horrible example. To that question, Jinnah’s reply should have been “I’m a Pakistani”. However, Jinnah was also narrow minded and formed a country on bigoted idea. I completely agree with you over here. Islam, the word which means peace and submission is being totally misunderstood. I, myself, am a proud member of the Ahmadiyya Muslim Community, and because of that, I don’t believe that this comment will even be published. No one, and I mean no one is allowed to judge someones faith. Only GOD has the right to judge. All I’m saying is, bring EQUALITY to Pakistan. NO ONE should be allowed to either question nor judge, anyones faith or declare them as “non muslims”. Wonderful article. I lived my early years in Pakistan. This was in early 1960s. Our teacher found out that I was a Lahori-Ahmadi and started regularly punishing me without reason. Eventually, I was permanently expelled from the Quran reading classes. Those years are regarded as years of tolerance so I can’t even imagine what its like now. I was in Pakistan recently and saw the official text books used in schools. They are full of intolerance, prejudice and hatred for non-Muslims. Some years ago the Saudi’s tried to introduce similar text books into and Islamic school in England and there was uproar. Sunnis complain there is anit-Islam propaganda in the West. Sunnis provide the West with enought materia themselves and no propaganda is needed! Rather long but nicely argued. Nice effort I would say, We are still trying to prove others wrong which is totally pathetic. The 1st principle should be being a human, as Abdul Sattar Edhi said ” Their is no religion higher then humanity”. we all know his contribution towards humanity. I can see above Zaid Hamid (I am not sure is he the real one or not) saying “There is no need to be a human. Being Muslim is our priority.” how preposterous and immature statement. if you are not a nice human being then how can you claim that you are Muslim?? its impossible. These sort of mid-set has destroyed the real image of Islam and Pakistan, these sort of people who misguides the younger generation should hang till death. You said how many books mention he is an ahmadi, mentioning that is a means to promoting inter religious diacrimination, not to go into secretarian as they are non muslims, these books also dont mention what and what sunni and shia schloard did what, totally ruined argument. My point was that because of their religious views they are not talked about in general. Pakistan has forgotten Abdus Salam. The Express Tribune edited that sentence to make it seem like i wanted people to know WHAT his religious views were. I just meant we never learn about these people in detail. If we learned about them we would see how unity of different sects of Muslims and even non-Muslims worked for Pakistan and its creation. People today think Pakistan belongs to Sunni Muslims. Thats the mindset i’m working at isolating. Anti-Semtism, seriously? If you are making fun of ayaat from Quran that says Jews and others can never be your friend then you and your kind can go to HELL! Quran said it 1400 years ago and even history teaches us that yet we are still trying so hard to be friends with non-Muslims. When you say you are a Muslim then you have to live by the code of Quran and Sunnah and no other way around. Yes discrimination is done with non-Muslims in our society but that dosnt mean that we start abrogating the teaching of Quran in the name of your so called humanitarianism. Non-Muslims do have rights in Islam and they should be treated as such. While it shouldn’t matter, given the spirit of this article, it’s still not true, no matter how many times you repeat the false ‘Jinnah was Sunni’ claim which has been debunked repeatedly. It persists due to old anti-Shia sectarian prejudice and discrimination, cemented in the 80’s Sunnification white-washing narrative under Wahhabi/Deoband inspired Zia. The sectarianism problem is so deep that Jinnah’s own minority Shia background is denied by blind religio-supremacist nationalists who can’t accept or uncomfortable with Jinnah being non-Sunni. You have spoken on the behalf of the whole nation. Pakistan is not a muslim nation and people need to accept that.It is fot minorities and that includes non believers. if anyone has a problem with that then they need to set an example for everybody in order to attract them to accept their religion. I commend Mr. Agha for his insightful article, and the Express Tribune for publishing it. The situation in Pakistan is indeed dire. The killer of the Punjab governor is lionized by a section of the educated public; 90 Ahmadis are massacred while saying their Friday prayers, and mullahs condemn a leader who dares to call the victims “our brothers”; public demands are openly made for murder, violence, and mayhem targeting minorities; sundry other examples exist. I humbly suggest a first step: let the government exit the fratricidal business of determining an individual’s religion, as it fatefully did in 1974. Let every person simply be identified as a Pakistani on official documents, including passports. At the same time, let it put down with a firm hand any attempt at creating hatred between different groups. It should nullify those parts of the Constitution that militate against human rights. Any delay in implementing the reversal of past governmental blunders will push the country beyond the point of no return. Peace to all, and may a just society soon arise! The statement Jinnah made was before Pakistan existed as a nation. Also, when someone asks what religion you follow and discriminates between two sects of it, you typically don’t reply with your nationality. Also, it’s not really possible to found a country on a bigoted idea given the amount of support from the people that is required. Our country is here today because a lot of people wanted it to be. I don’t think a narrow minded man with a bigoted idea could lead a movement to liberate a nation. The vast majority of this nation wants to see it prosper, I’m not sure if you’re one of them but bashing our founder without a supporting debate and making nonsensical comments about the origins of our country sure won’t help. The article and all the comments supporting this article and the comments arguing for “Muslim” Pakistan have an inherent problem-being a Pakistani. The article should be titled “Just call me a Pakistani. Instead it took a religious tone of “Ahmedian ” want to be called as Muslims, or demand equal rights as Muslims as described in Quran. As such, all who supported this article or spoke in favor of Muslim Unity have turned into bigots, by alienating all the other religious and ” non religious” communities living in Pakistan. I don’t think its right to blame ONLY sunnis for the current situation!! for we must realise that sunni’s are not the only inhabitants of this land..! time for us to shoulder our responsibilities. time for us to end THIS blame game and find solutions to live together peacefuly .. When Gandhi was asked the same question he said he is a Hindu, Muslim as well as a Christian! Good point. It is still the crux of the confusion of national identity with a religious one since inception. Ahmadis did not declare themselves non-Muslims, so it wasn’t unanimous by all ‘sects’ and a group were being discriminated by the majority, as the majority ridiculously went out of their way to make this a state issue for a reason to downgrade their citizenship to institutionalize their prejudice which the state obliged in. So no, you nor the state of Pakistan, don’t think all are equal as clearly Ahmadis weren’t heard, and Ahmadis aren’t given the same benefits, as it is open fact that Muslim Pakistani citizens have different rules compared to non-Muslims citizens. It’s not demonizing an entire group, and let’s not be emotionally defensive and reactionary to criticism. We are talking about PAKISTAN. Of course there’s opposites in tyrannical Syria and dogmatic Iran, but doesn’t excuse our particular Pakistani Sunni Muslim majority, nor gives a free hand to Saudi Arabia or the like. And yes Pak has a history of Shiite Muslim establishmentarians like the current civil government, but that’s like believing Obama in office means discrimination against African Americans has ceased. Nope. But particular to Pakistan and it’s part in playing host to global terrorism (Thank you Saudi Wahhabis/Salafis and local Deobands! ), as the author correctly noted who too is from the majority Sunni sect, the root of the societal problems cannot be ignored continuing in denial. Critics called the 80’s the Sunnification of Pak. If that’s too harsh, it at least was the Wahhabification or Deobandization of Pak. Sectarianism victims are ‘both sides’ but let’s not be disingenuous using false equivalences…they’ve been mostly from the minority Shia Muslim Pakistanis. Non-Sunni Muslim and non-Muslim are facing discriminatory issues and they can’t be downplayed any more, such as blasphemy laws and Ahmadis status. We think we are doing Allah a favor by deciding matters ourselves assuming He will also agree with our decisions. Why can’t we simply tolerate and leave some matters for The Almighty to decide? I’m sorry, but my study of history and Mr. Jinnah tells me exactly what ‘Noise’ said. If you are convinced otherwise, you have to prove it. I would direct you towards Stanley Wolpert, Vali Nasr and Khaled Ahmed. Jinnah was a Twelver Shia. 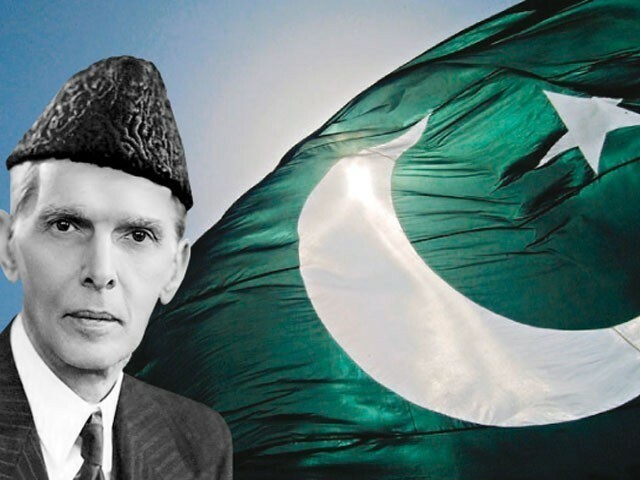 Instead of saying ‘I’m a Muslim’, he (Jinnah) could (actually should) have said ‘I’m a human’ or at the least ‘I’m a Pakistani‘.Apparently being a Muslim or to put it more emphatically, being known as a Muslim was more important to him than being more ‘Humane’ or at the least more ‘Pakistani’. There are some points that i guess should have been posted too. First of all, Jews and christians cant become our friends as it is in Quran, but to kill them for no reason is nowhere in our religion. And about sectarian violence :In January, three lawyers – a father, his son and nephew- were gunned down. They were Muslims who belonged to the Shia sect. On the same day, three other professionals from the Shia community were killed in Quetta. I strongly condemn their killing being a Pakistani, but what if these lawyers were sunni? Would Media have highlighted it the same way? The answer is: No. The sunnis are known as Pakistani, remaining people belonging to different sects or religions are called by their believes. And I 100% believe that its not my fault, the difference is created by whatever source Media should definitely be accused of this. About ahmadis, I personally dont know why people hate them, I mean if we cant love them then atleast we should stop hating them. And i guess i have a got a very simple solution for it. Ahmadis have separated themselve from Islam by their own people, then why do sunni or shia even care, let them do whatever they want to do, why to give them enough importance, seriously they are not worth it. I think religion actually taught humanity, if you look down at the history. A very well written article Mr. Agga. Gandhi didn’t have a girl child, genius!! He had 3 sons and no daughters. FYI, the “secular” Jinnah flayed his daughter for marrying a non-muslim. I think you have mistaken Gandhi with Jinnah. Excuses, Moiz. You have no credible source. You don’t accept the claim period out of bias. Not that you’re provided any credible evidence on your part either. Let’s not be disingenuous. I have, many times. Here’s comments, full of references and explanation, but dismissed and twisted to suit your false claims, bias and illogic at the end. I regret my longer reply wasn’t posted under your last comment in that topic. I seriously took issue with how there was an outright false claim and misattribution to me ‘As you say, there’s no evidence of Quaid-e-Azam’s religious leanings’. Just very wrong and more than a bad mistake. Absurdly you would then claim he was secular and therefore by default became Sunni Muslim because of the majority (akin to saying Catholic JFK became Protestant). Beyond fallacy and illogic. Please, refer to my reply to RSingh above. Secularism is separation of religion and state. Not separation of religion and individual. Yet you can’t name your source or give a proper rationale? What did you find Harvard scholar Vali Nasr twisting? Does it tie in with your own strong anti-Iran prejudiced views you’ve made known elsewhere? What about Wolpert and Ahmed’s claims? Why do you dispute them? but what if these lawyers were sunni? Would Media have highlighted it the same way? The answer is: No. The sunnis are known as Pakistani, remaining people belonging to different sects or religions are called by their believes. Come off it. Before those 3 Shia lawyers (with no links to particular organizations), an ASWJ Sunni extremist worker and lawyer was gunned down. Yes it has been highlighted like the Sunni security official killed in Gilgit-Baltistan (a non-province where majority Shia population are represented by Sunni Deoband lawmakers) by Shia militants, but now overshadowed with another anti-Shia massacre committed by Sunni militants (a Salafist anti-Shia Sunni militant organization, Jundullah). It’s called motive and trends. Not every Shia Muslim is killed on sectarian motives and vice versa with Sunnis. But there is a higher rate of sectarian killings against minorities than there are against the majority in Pak. The victims are mostly from the minority Shia sect, and yes, it’s acknowledged that there are victims of the majority Sunni sect, just not as many nor evidence of a deliberate wide scale cleansing agenda like majority extremist militant counterparts and the hegemony of their religious narrative over Pak’s institutions. I understand the defensiveness, but this projects anti-minority resentment, complaining that you face discrimination as a majority member in news media reporting, but the truth is and statistics and evidence show that this is not the case. And I 100% believe that its not my fault, the difference is created by whatever source Media should definitely be accused of this. I have to try. The irrationality and bigotry is costing lives and progress. It’s Barnes (not Burns…a bit funny) and Noble. Apart from the Ad Hominem and your prejudice against Ahmedis or Shias, please point out something substantial where you can disprove Vali Nasr’s contention on Jinnah’s background. Otherwise I’m not interested in whatever irrational conspiracy you may have on how Islam is in danger from writers with minority sect backgrounds. You guess wrong. Sectarianism is centuries old. In pre-partition India to present Pakistan this ridiculous ‘kafir or not kafir’ by Sunni/Shia majority supremacists exercise existed pre-1979, and was even endorsed by those inclined towards the local Sunni Deoband school of thought. Be honest in giving the full story, instead of half truths. Who decided to jump in after and decided to fund Pakistani militants in violent response of local Shiites trying to gain more rights and autonomy? The paranoid Wahhabi/Salafist Saudis whose ideology is strongly steeped in anti-Shia sentiment. Again and again I’ve said, I am not going to go looking for this information right now, and I know even if I did, you wouldn’t be convinced. Being a Harvard scholar doesn’t change the fact that Vali Nasr takes great liberties with the truth. You don’t know my political views and you don’t know what I consider my identity, so don’t pretend you do, especially when you’re dead wrong. And I have also never said Shias are non-Muslims, so, again, don’t assume you know my views on these matters. Then cite an example? You are offended by my comment but you have failed to cite an example of anti-semitism. You are offended by Jinnah’s comment yet you FAIL to quote any comment from Muhammad PBUH and his followers that compliments your arguments in article. When you propagate a false claim repeatedly, without prompt, and simply refuse to back it up, don’t be surprised when called on it. In all academic fairness, I’d look and could be convinced if you had something credible. But let’s face it, you don’t and you know it. Again, name the liberties you refer to, specifically to Jinnah. I ask again, what of Wolpert and Ahmed? You still haven’t answered this and probably won’t. I’m sorry, but your sentiments come through in the comments, we can formulate a basic idea. Your view of Iran as an enemy where you would like to see Israel bomb them, I believe isn’t just based on your anti-India sentiments, also noted from your posts. You’ve never explicitly said it, but may have implied it in regards to views of Shias being non-Muslims, though you did outright condemn violence and how being non-Muslim doesn’t justify it or the author’s premise of pandering to only Muslim sentiments. But seemed like it wavered (I can provide the comment’s link if asked). There’s a trend and tone in your posts elsewhere, such as downplaying minority treatment and liberal dislike, etc.